It’s amazing how far the mighty have fallen. A few years ago, In 2000, Joe Lieberman was the Democratic Party’s nominee for the position of Vice President of the United States alongside Al Gore. In 2006, he resigned from the Democratic Party after losing his party’s nomination for Senate to a nominee backed by the party’s extreme left wing, Ned Lamont. Now, in 2012, independent Connecticut Senator Joe Liberman is retiring from the Senate completely. The 68-year-old Senator Lieberman has been a member of the Senate for over two decades and will be wrapping up his fourth term of service in the Senate; he will not be seeking a fifth according to an announcement Lieberman held yesterday in Stamford, Connecticut. He was the first Jewish person to serve on a major party’s Presidential ticket. His popularity in Connecticut has taken a major hit in the wake of Lieberman’s 2008 campaigning for John McCain. 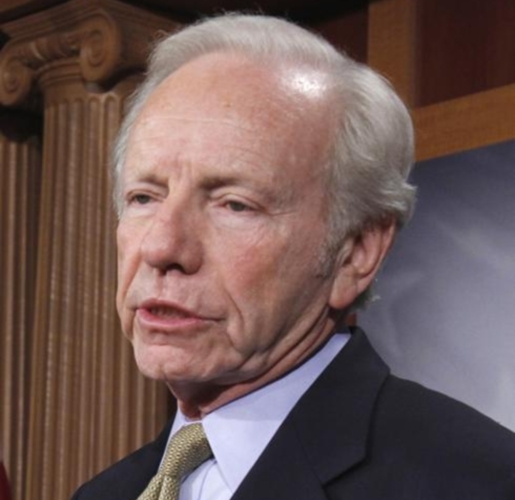 Lieberman is the third Senator to retire in two weeks. Kent Conrad, Democrat from South Dakota, and Kay Bailey Hutchison, Republican from Texas, have also announced their retirements within the last seven days. I guess now Lieberman will have more time to hang out with Uncle Sam. Maybe Joe can get some golf in with fellow retiree Regis Philbin!